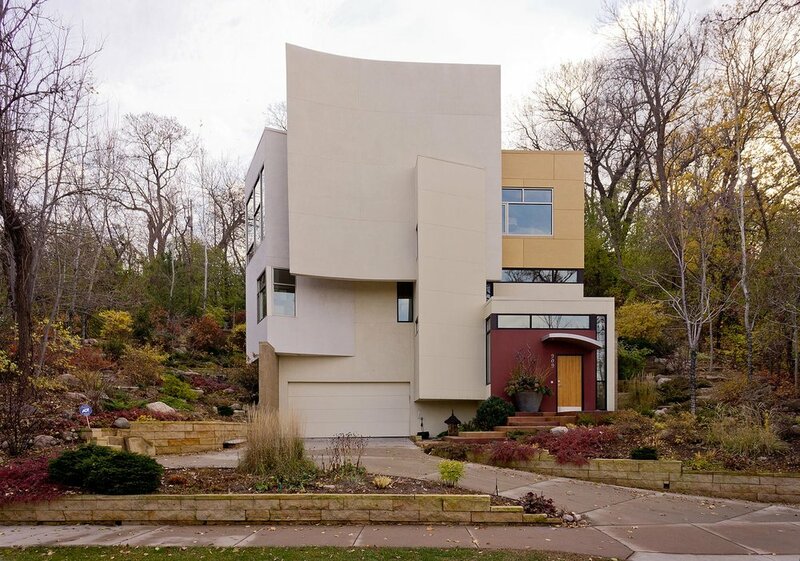 This sculptural contemporary house was designed for a young professional couple on a steep site near downtown Minneapolis. 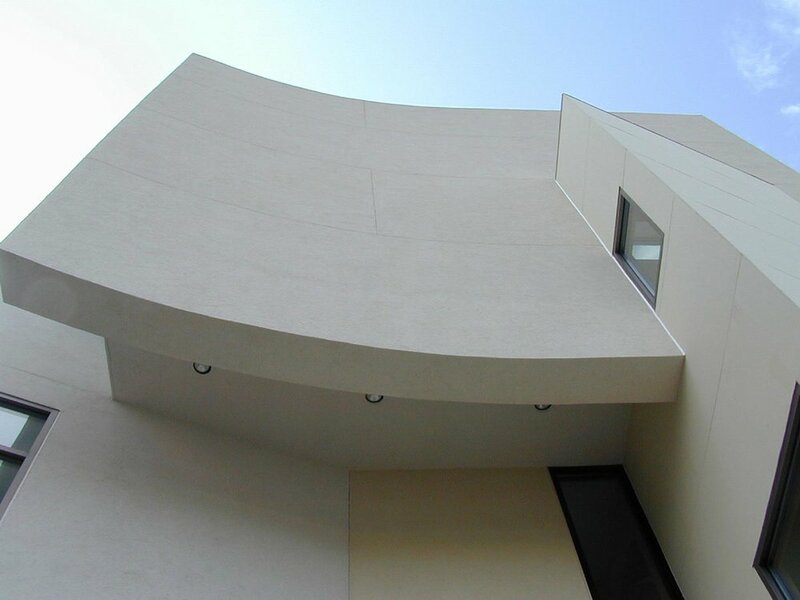 The steep grade and views toward the city established a vertical design organization for the house. As well, the adjacency of the site to the parkway and elevated highways engendered a quality of movement to the design. 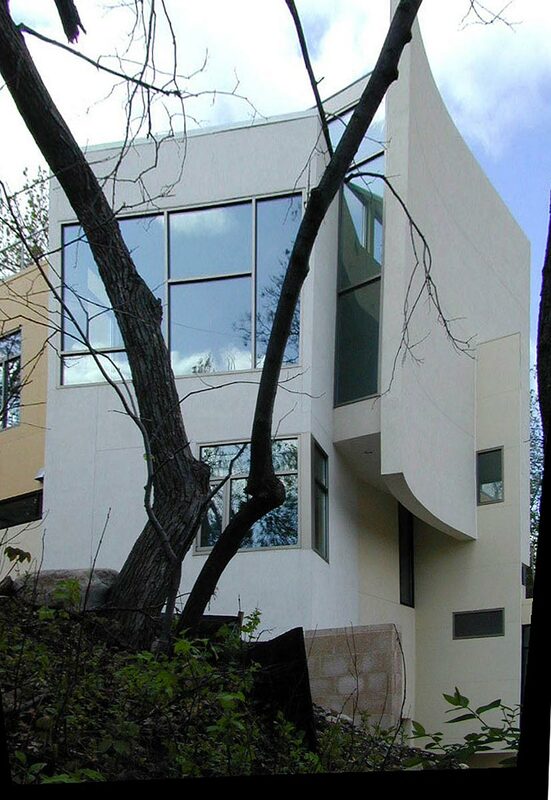 The house is inserted into the site adjacent to a 2-story landscape retaining wall intervention. One enters the house through a small cubic space and ascends a rotated stair element with glimpses of the city and arrives at the master bedroom level. Continuing up the stair one arrives at the open pavilion of the public spaces on the top level. The tall curved wall functions as an acoustic shield from the highway noise to the north and bends toward the view of downtown. This wall also reaches above the roof and is held away from the masses of the body of the house drawing light into the living spaces on the top floor through a series of vertical clerestory windows oriented south. The rotated mass behind the shield orients the master bedroom (below) and living space (above) toward the views of the city. 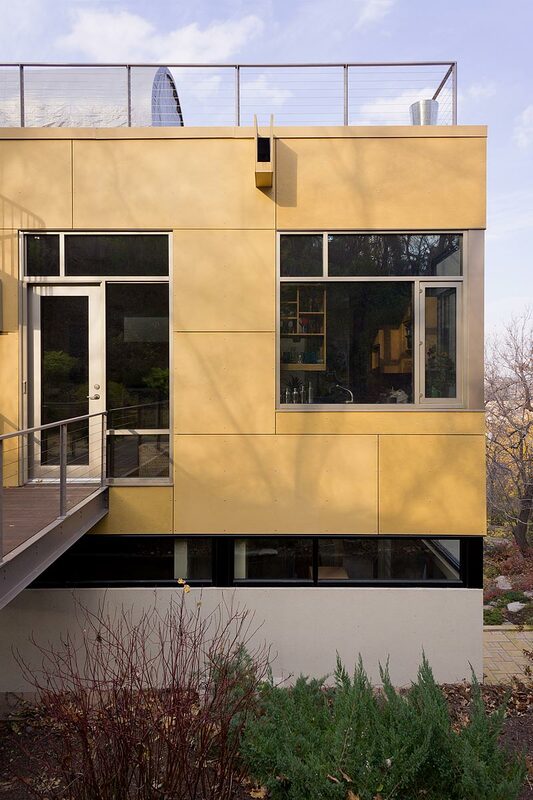 The primary materials are differing tones of stucco and fiber-cement panels and burnished concrete block. The windows are a commercial aluminum storefront and window system.